Blue Cheese. Cats. The President. KPIs. What do they all have in common? You either love them or you hate them. So which one are you? Lovers: You may be a little metrics happy. You want to know the stats and data behind everything in your agency. Your KPI dashboard may even be your homepage. Haters: Okay well maybe you don’t hate KPIs, but you’re to busy, don’t understand them, or just don’t see the importance of it all. Either way, you avoid them like the plague. But here’s the thing about KPIs, they are so important, yet, you can’t get too caught up in them. Try to track everything and you’ll suffer from analysis paralysis. Avoid them and you could be losing thousands (if not hundreds of thousands) of dollars a year. The key is to find a happy medium and that begins by tracking metrics that matter. So how do you pick the metrics that matter? KPIs should inspire action, if they don’t they’re not worth your time. KPIs were created so you could have a birds eye view on your agency. At the glance of a dashboard you should know how you’re performing right now and you should be able to predict where you’ll be in 6 months. Incredible right? Below, you’ll find 6 KPIs you should be tracking but might not be (yeah even you KPI lovers might have missed a few of these). 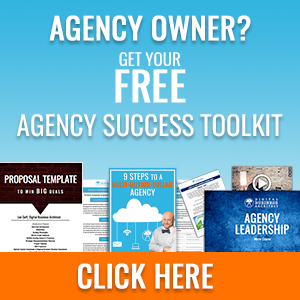 Begin tracking these and you’ll be setting your agency up for success. Running an agency means you’re constantly swapping time for money, regardless of your pricing model. This means that your billable employees are your currency. The more productive they are the more profitable your agency becomes. To track this employees must log their time. I know, I know, this announcement will probably come with a few eye rolls but it’s the only way for everyone to become more profitable. You then start by monitoring billable hours, these are the in-scope hours your clients are paying for. In a perfect world every billable employee would have a 100% utilization rate, but you have to factor in lunch, going to the bathroom, learning curves, agency meetings, breathing, and all of the other non-billable activities that pop up on an average day. It’s safe to shoot for an 80% utilization rate. Those who are more productive should be rewarded, those who fall short you need to have a chat with. Once you have an average for each employee, add them all up and divide to find the average for your agency. This can let you know if you’re over or understaffed, it can help you set appropriate rates, and it will show who your best (and worst) performers are. This sets a productivity standard, holds project managers accountable, and gives you the necessary insight you need to increase your profit margins. All of the traffic, clicks, impressions, and engagement means nothing if those leads aren’t ultimately generating revenue. Flying out to California to close a deal may guarantee you get the client, but the expenses associated with it may make the project unprofitable. The client acquisition cost is the TOTAL cost associated with getting a new client. You need to know this so you can appropriately allocate your marketing budget, know how many new clients to expect, and continuously strive to lower costs. You can break it down my looking at the CAC for individual channels. This way you can spend more money on the channels that have lower costs associated with them. Remember, the lower the CAC the higher your profit margins are. This KPI is also essential if you’re looking to bring on investors or sell you agency. A high CAC and low customer lifetime value means your model isn’t very profitable or sustainable. To turn things around you would need to find more efficient ways to obtain new clients and come up with new ways to keep them onboard longer. 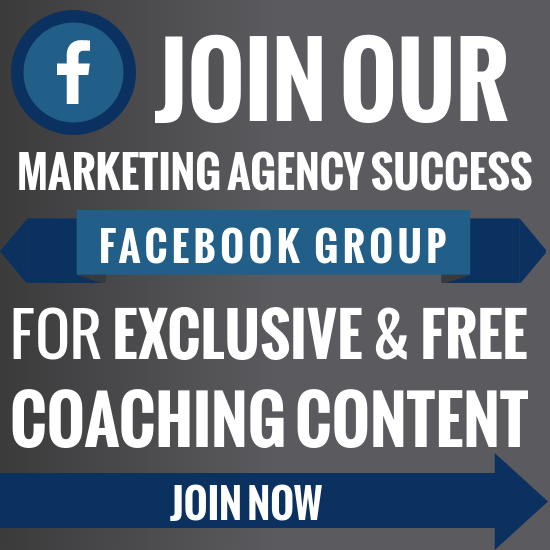 This may mean trying out social media to find leads and improving your customer support. Do your customers come back? Stay on retainer? Leave and never to return again? Send dozens of referrals your way? Customer lifetime value is more important than the initial sale. If most clients come onboard with a small introductory fee but wind up requesting huge custom build-outs that lead to long term retainers than their lifetime value is much more insightful. Say you’re trying to calculate your customer acquisition cost and you took your total marketing budget for the month, $10,000, and divided it by the number of new clients, say you got 10. This would give you a CAC of $1,000 per client. This would be ridiculous if their first purchase was only $250, but if their CLV is $40,000 then it’s completely worth it. It’s easier and cheaper to cross-sell and up-sell current clients than it is to go out and find new ones. So try to squeeze as much profit out of every client that comes your way. This means keeping clients happy and over delivering on projects. If you make them happy they’ll be more likely to stay onboard, purchase from you again in the future, or send referrals your way. If you have a low CLV you’re agency is hurting somewhere; your prices may be too low, you may have poor customer service, or your quality/results may be disappointing clients. 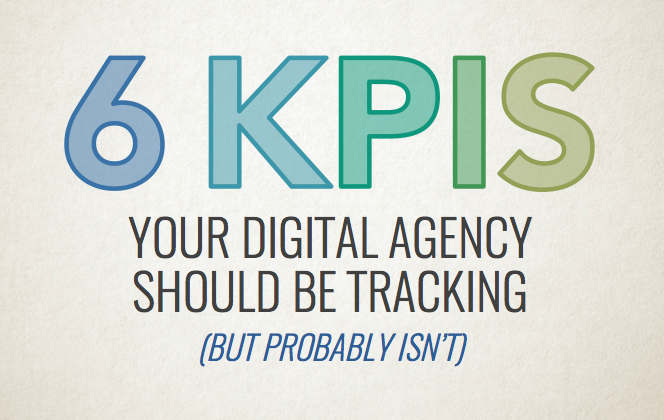 This metric is a bit harder to track but it’s crucial to your agency’s long term success. 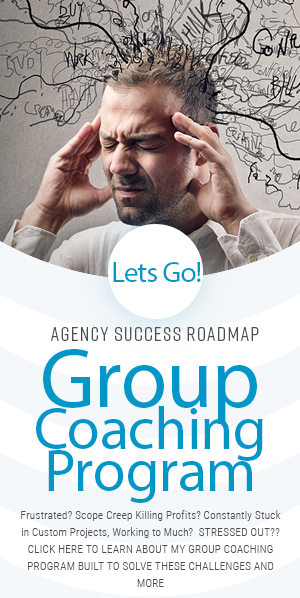 Clients are the core of your agency, and as long as they’re happy your agency has hope. 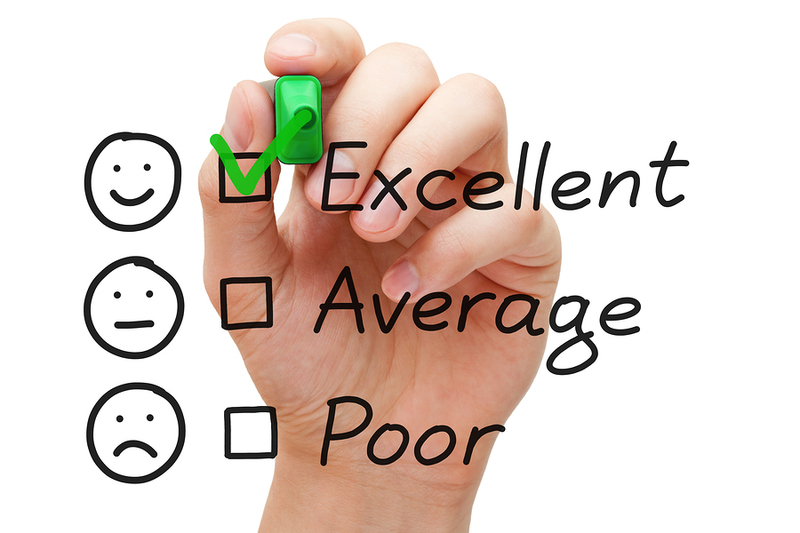 The most effective way to measure client satisfaction is to go right to the source, send out a survey to current and past clients. If the survey is short and sweet you should get some constructive feedback. Of course, there are other ways to infer satisfaction levels. You can look at client churn rates, customer lifetime value, social media engagement, referrals, reviews, etc. I’ve said before that tons of traffic means nothing if revenue isn’t being generated, but a lot can happen between a first interaction and a first purchase. So how do you make sense of all the in-between? Knowing how much of your web traffic eventually becomes marketing qualified leads can give you a new found clarity. You may not be driving the right kind of traffic, all of those Facebook ads could be sending over unqualified leads or leads outside of your target audience. Your website may be hurting your conversions, perhaps you have a confusing call to action or your website doesn’t respond well on mobile. Finding the culprit can help you fine tune your marketing messaging, reduce spending on ineffective marketing channels, and get your website in prime condition. Do this through split testing, monitoring campaigns, and tracking lead sources. As a growing agency it’s important to measure your growth and celebrate it. It’s easy to get caught up in the ratios and percentages for every little thing, but ultimately if you’re growing your doing something right. Higher annual revenue this year? More clients this quarter? Record high social media following? That’s incredible! As long as your growing and improving you’re doing great (even if your CAC is still higher than you’d like it to be) so make sure you acknowledge it and the people who made it possible.